I posted this little vintage wicker bag on my Instagram @karenbritchick and had a lot of you asking about it. I found mine at a local vintage shop that sells vintage straw and wicker bags. Personally I’m into vintage style wicker bags (with the exception of the Cult Gaia ark bag). To me they have more character and look better plus I like them structured so they clash but compliment anything throughout spring and summer. You can find straw or wicker bags almost everywhere and at different price points, remember this post where I listed a few for you? 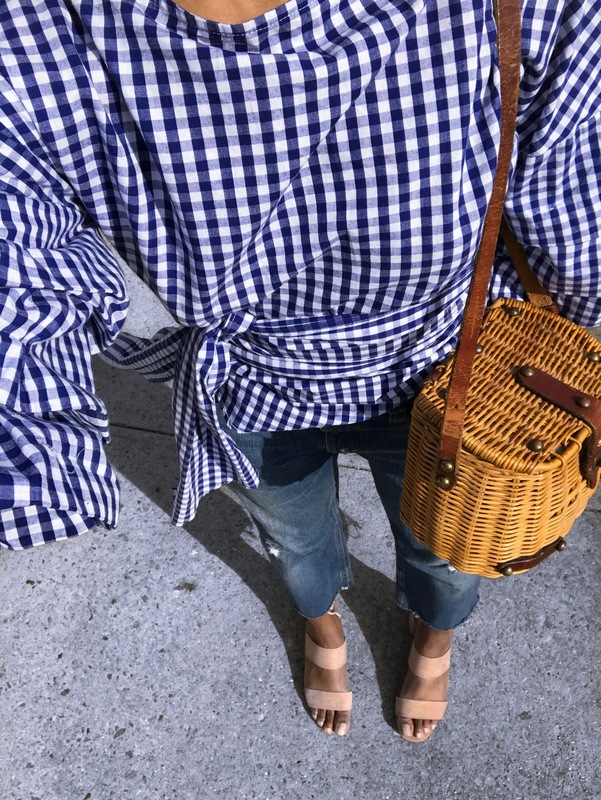 Some of you told me that you already have an old vintage straw bag given to you by a relative or something which is perfect (if you like it too of course). For those who are into bags like mine show above, below are some vintage wicker bags that have that similar vibe. My blouse is also listed (I am wearing it back to front). It took every ounce of strength to resist buying another vintage bag from the selection below. If you get one, tag me on Instagram so we can live vicariously through each other?